Katrell Christie never intended to visit India. In fact, her ideal vacation was a tropical beach where she could relax with a margarita in her hand. But when this former art student turned roller-derby rebel met three teenage girls at a crowded Buddhist orphanage in Darjeeling, she knew she had to help. What started as a trip made on a whim would prove to be a life-altering experience that would change the fate of these lost girls. 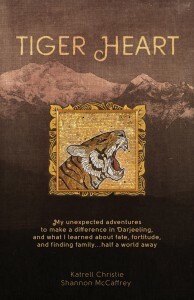 In her new book, Tiger Heart: My Unexpected Adventures to Make a Difference in Darjeeling and What I Learned About Fate, Fortitude, and Finding Family Half a World Away (October 2015), Katrell tells her remarkable story – from her quirky Atlanta tea shop to her fight for her young scholars halfway around the globe. Two scholars in the program are set to graduate from college and move on to pursue advanced degrees. Most of the girls Katrell met in India faced grim futures as laborers or domestic servants. Some might have been relegated to lives of sexual exploitation. For them, she founded The Learning Tea, which has offered scholarships to 15 young women in Darjeeling, providing them with tuition, housing, clothing and medical care. Katrell has us sipping tea with her at roadside tea huts, tasting hot samosas, dodging feral monkeys, and roaming the chaotic streets of Mumbai. The smells of small villages waft from the pages as we accompany her on her riveting and sometimes hilarious adventures across the globe in her mission to empower the young women who have become a part of her family. Join us in experiencing then sharing the inspiring story of one woman and her mission to make a difference through the power of educating girls. Katrell Christie is the founder and owner of The Learning Tea, a project which provides schooling and a safe haven for impoverished young women in India. Through her efforts with The Learning Tea, Ms. Christie has changed the lives of many women living in Darjeeling, India. Visit TheLearningTea.com for more information. Shannon McCaffrey is an award-winning reporter focusing on investigative stories for The Atlanta Journal-Constitution. She is an avid reader, a mother, and a runner. 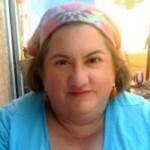 I have a ‘thing’ for memoirs – people’s personal stories. They always intrigue me. It’s a few levels above watching people on a bus or in a cafe and wondering what their stories really are. In the case of Tiger Heart, I found Katrell Christie’s story to be very compelling. So often, we read about people who are going out into the world and doing good things, and their focus is on boys. This woman saw a need: educating girls, and she turned it into a personal mission. As a woman, as a feminist, as a citizen of the world, I really like that. I also liked reading her memoir. It’s funny, candid, and completely honest. It could have sounded like an academic treatise; instead, it reads as if your best girlfriend is telling you about her latest exciting adventure. This should in no way imply that the book is intellectually light. It is NOT. Christie and McCaffrey are honest about the predicament of girls in Darjeeling, and about their defeats – having to close a center, going home feeling as if failure had occurred. Except there was no failure. Lives were changed, girls’ futures were improved, and I suspect Katrell Christie’s life is far richer for the experience than it ever would have been, otherwise. Read this book if you want an uplifting message, one of hope and hard work. Goes well with chicken tiki masala and cucumber water. Monday, October 5th: Read. Write. Repeat.